As individuals we all lead different lifestyles each having different wants and needs, which is why we have a wide range of membership options designed to meet your personal needs, at times that suit you. Alpine Health Club is an exclusive member’s only health and fitness club focusing quality service with results so that you are able to achieve your goals and reach your true potential. Being part of a private health club gives you the exclusivity your desire, your very own private gym! As a private club we can respond rapidly to demands, maintaining high standards consistently whilst giving you access to expert knowledge from fitness instructors and there are no queues. Membership Packages vary dependant upon such factors as; membership type, agreement length, additional clubs access such as peak or off peak, or services required or indeed whether it is an individual, Joint or corporate membership. We are open 7 days a week, so the easiest way to find out which membership is best suited to your needs is just to pop in to the club or call one of our membership advisors on 01354 661001 today, we are always happy to help! Do I have to be a member to use the Alpine Health Club? Do I need ID to gain entry to the club? You will be issued with a unique number together with a personal photographic membership Card to gain access into the club via an automated entry and exit controlYes. It is important to us to ensure that we have addressed your exercise wants and needs and also that you are able to use all the equipment safely and efficiently. However we offer a range of flexible membership options, Contact our membership team to discuss your specific needs on 01354 661001. Unlimited access during all opening times, including Fitness screening, ongoing fitness programming, members lounge, DVD library, Wi-Fi, Sauna, Welcome Pack. Unlimited access during 08.00 - 16.00, including Fitness screening, ongoing fitness programming, members lounge, DVD library, Wi-Fi, Sauna, Welcome Pack. Unlimited access during all opening times for 60+ Senior, including Fitness screening, ongoing fitness programming, members lounge, DVD library, Wi-Fi, Sauna, Welcome Pack. Unlimited access during all opening times for 16yrs to 18yrs, including Fitness screening, ongoing fitness programming, members lounge, DVD library, Wi-Fi, Sauna, Welcome Pack. Unlimited access during all opening times for 13yrs to 16yrs, including Fitness screening, ongoing fitness programming, members lounge, DVD library, Wi-Fi, Sauna, Welcome Pack - Must be accompanied by a Parent or Guardian. Unlimited access during Monday to Friday between 12 noon and 15.00, including Fitness screening, ongoing fitness programming, members lounge, DVD library, Wi-Fi, Sauna, Welcome Pack. Please call us on 01354 661001 to discuss you requirements. Unlimited access during all opening times, including Fitness screening, ongoing fitness programming, members lounge, DVD library, Wi-Fi, Sauna, Welcome Pack. Membership for either 1 month - 2-weeks or pay per visit bundle. 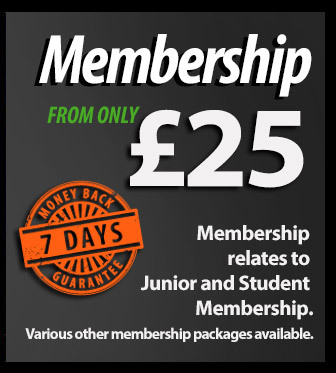 *To give you an idea of monthly fees, typically a membership varies between £22 and £40 per month dependant upon membership package. Is there a Joining fee to join? There is a once only "Life Time" Enrolment Fee the actual amount of this dependant upon the package that you join under. Our membership fees are fixed and transparent to all, same membership same fee. I have previously been a member, do I have to pay another Joining Fee? No, there is a once only "Life Time" Enrolment Fee which you would have paid when your originally joined the club. Our membership fees are fixed and transparent to all, same membership same fee. The majority of our members understand that joining a quality Club like Alpine to become healthier is about a lifestyle change and not just using a Club. Members are generally happy to commit to a fixed term agreement; naturally we reward this commitment throughout your membership subscription however, we do understand that sometimes it is difficult due to personal constraints to commit so we do also offer flexible membership terms with no fixed periods. How Can I be sure that joining online is safe? The signup section of the website is very secure, as safe as a bank, any details entered on this website are encrypted before being sent to the server. When you join we will ask you to fill out a pre-exercise questionnaire, this enables us to ensure there are no reasons why you shouldn't be embarking on an exercise regime and acts as a sensible precaution before undertaking any exercise. We will then book you your first visit for your Health screening; this is your first point of contact with your professional Fitness Consultant. We will assess your level of fitness by undertaking various assessments. We believe to design our members the best possible exercise programmes. This full MOT gives the fitness consultant the right information and with these final results your personal printed health profile will enable you to evaluate your current lifestyle, identify any weak areas and know where and how to make positive changes! From there we will arrange another session for the exercising within the fitness suite. Will my health be checked before exercise? We provide an exclusive health screening as your first point of contact with your professional Fitness Consultant. We will assess your level of fitness by undertaking various assessments. We believe that to design our members the best exercise programmes possible this full body MOT gives the fitness consultant the right information which acts as a sensible precaution before undertaking any exercise regime. With the final results your health profile will enable you to evaluate your current lifestyle, identify any weak areas and know where and how to make positive changes! Health screening is your first point of contact with your professional Fitness Consultant. With the help of the qualified Consultant, we can assess your level of fitness by undertaking various assessments, Including Weight, Height, Body fat Analysis, Lung Function, Aerobic Capacity and Strength test to name a few. These simple sub-maximal tests are recommended to be taken every 12-16 weeks, which acts as a sensible precaution before undertaking any exercise regime, to provide the best results and to help keep motivation high. Your nationally certified Personal Trainer will discuss your exercise and medical history and also help you start a sensible exercise program, with nothing to worry about, you’re in very safe hands. Each and every exercise machine will be demonstrated until you are comfortable with its use together with a detailed informative explanation of your personal exercise programme. Every member receives a welcome gift pack. * Varied promotional items are issued to club members throughout the year during promotional periods. *These items may vary. We promise, we’ll guide you through our unique, tailored easy step by step process that will help you fit exercise, nutrition and relaxation into your lifestyle in a realistic exciting fun way, so you get the most out of your life and your club membership. We believe that the first step in achieving great results is to talk to you and find out your wants and needs are and deliver exercise that's right for you, and what you enjoy best. That’s why we begin with an individual one to one consultation with one of our friendly fitness experts. By getting to know you, we can advise you on the best ways to achieve your personal fitness goals. We’ll talk to you about your goals, health screening, lifestyle dietary habits and ideal exercise and activity. – a plan specifically designed to make you Fitter, happier and healthier. Your exercise programme will be delivered to you in manageable, realistic sections, keeping you motivated and on target, we don't want you to be overwhelmed, we hold your hand all they way until you are comfortable. We’ll make sure it’s achievable and fits into your day to day lifestyle, And because the emphasis is on exercise that's fun and manageable, with gradual progressions, every visit will be hugely beneficial and enjoyable. As you progress, you’ll feel fitter, and become stronger and healthier. Achieving your goals couldn't be easier, however as your body adapts to the effects of regular exercise you’ll need to evolve your personal exercise programme. The registered fitness advisors will meet with you on an ongoing basis every few weeks to refresh your Personalised Fitness Programme, however you may ask for support and assistance anytime, we are here for YOU! Special "Members only" offers for the health Spa and other facilities and services. Improves your overall quality of life - One Life Live it Well!